An upgrade to the library system is scheduled for Tuesday 5th July – Wednesday 6th July. 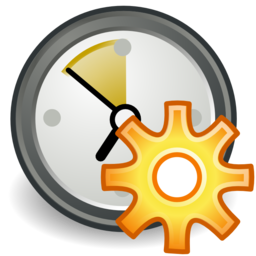 This will require us to shut down the system from 3pm on the Tuesday and it will not return until around 12.00 pm on the Wednesday. You will be able to visit the library as normal and all our spaces will be open, you will also be able to borrow and return our physical collection during this time. 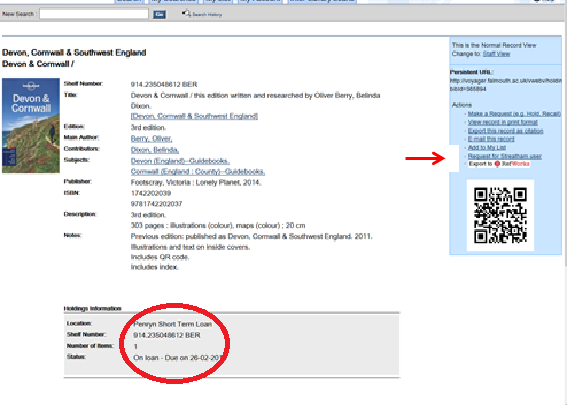 However access to our main online collection via the catalogue will not be available. You will also be unable to renew items, pay fines or place ILLs online and we apologise for this inconvenience. 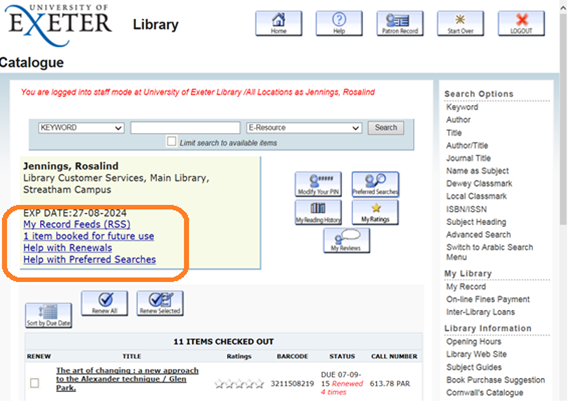 For access to electronic resources during this period, please use a search engine such as Google to find the resource. If you do this on campus your computer network IP address should automatically recognise and authenticate you as a University of Exeter user and provide access to the relevant resource. If you are off campus, you will need to identify yourself as a member of the University. In most cases, simply enter your university computer username and password when requested. Here is a file of our major e-resources, some may need the VPN installed to work off campus. This entry was posted in E-Resources, Using the Catalogue on 30th Jun, 2016 by Susan Abbott. Know how to request books from Penryn? A message will appear on the screen if it is not possible to borrow the item. This will appear for reference books, DVDs and journals which are not borrowable from Penryn. This entry was posted in Information skills, Using the Catalogue and tagged how to guides, Penryn, request, self-service on 9th Mar, 2015 by rj261. Know how to renew your books online? 1. 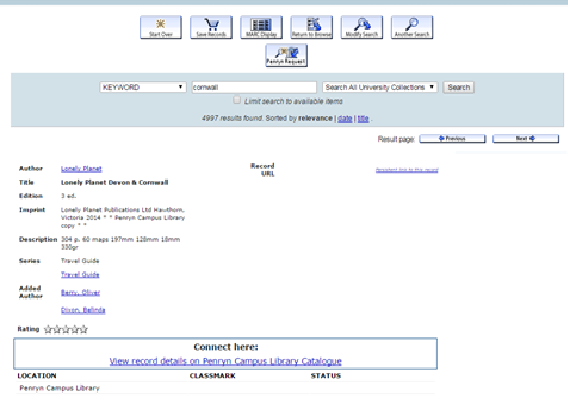 Access your record by clicking on the Patron Record button via the library catalogue: http://lib.exeter.ac.uk/search~S6 and logging in with your University username and password. 2. Shows ‘Items checked out’ page when you first login, where you can view materials you have checked out. 3. Select materials to renew by selecting the boxes in the RENEW column on the left-hand side and clicking ‘Renew Selected.’ To renew all the items on your record, click the ‘Renew All’ button. 4. Click Yes to renew the selected items. If you cannot renew items, a message will appear on the screen. If you are successful, a new due date will appear in the STATUS column. This entry was posted in Information skills, Using the Catalogue and tagged how to guides, renew, self-service on 2nd Dec, 2014 by rj261. Library catalogue/online resources access feedback needed! We need your help and opinions! 1. 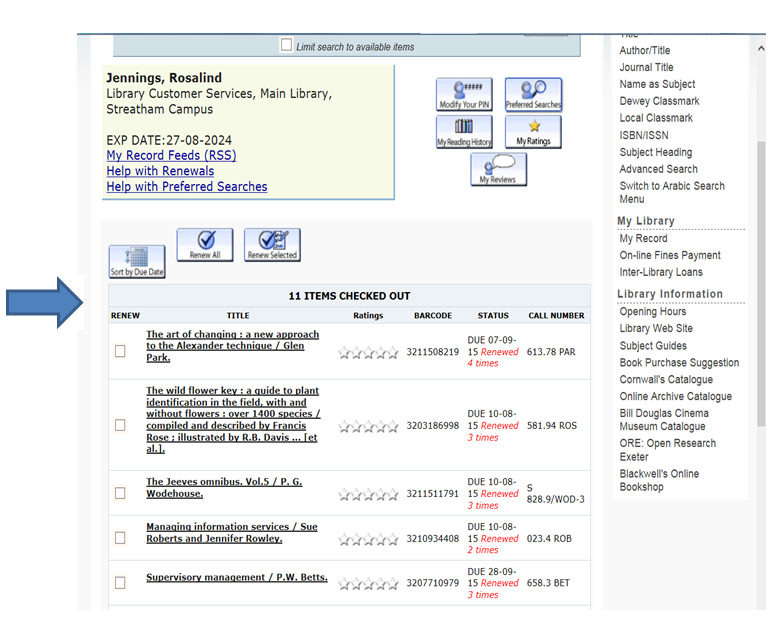 What do you use the library catalogue for? 2. Where else do you obtain information for your academic studies such as e-journal articles? 3. What problems do you encounter finding and accessing academic information – are there additional features and tools which would encourage you to make better use of the library catalogue and search systems? There will be a focus group running on Tuesday 7th March in the Research Commons Seminar Room A/B (10-12pm) for anyone wishing to discuss or explore this in person. Refreshments will be available – email Martin if you want to come so we can make sure there’s enough! This entry was posted in E-Resources, Using the Catalogue on 25th Feb, 2013 by cagale. History, English and Geography Reading Lists top the charts! The Library’s Reading List team work closely with Colleges, with the aim of providing simple access to the resources student need via their ELE modules. We are just emerging from our pilot phase, and have the aim of digitising all reading lists within ELE so that every students has the opportunity to access their key resources in this way. Our reading list supplier, Talis Aspire, has recently implemented statistical monitoring on our Reading List software and we are delighted that these highlight University of Exeter lists as achieving the highest hit rate worldwide relative to the size of our reading list collection – no mean feat! Humanities and Life Sciences lists form the top five lists for Exeter, all have been used over a 1000 times since January this year and HIH1410 – Understanding the Medieval & Early Modern Worlds takes top place with a hugely impressive 3,123 visits since January. If you are a module leader and would like the library to digitise your lists, please get in touch with your subject librarian for more information. As you will appreciate, there are peaks in demand for this service around the start of each term, so get your list in early to guarantee your list will be ready for the new term. This entry was posted in E-Resources, Using the Catalogue, Using the Library on 27th Mar, 2012 by Lee Snook.